All the winners from the 2013 Design Week Awards. In what could have been a run-of-the-mill campaign, AKQA was briefed by Nike to promote its Nike+ Fuelband and other products to Japanese consumers before they came to market. Fortunately though, the combination of a receptive client and a forward-thinking consultancy led to a project that pushes design – and the Nike brand – to the very limit. Tapping into the Japanese national obsession for gaming, AKQA created a temporary ‘arcade’ opposite Tokyo’s Harajuku station, featuring a series of games powered by Nike+. Thousands of players came to Ugokidase during its two-week run, playing for an average of 18 minutes on-site, while the global competition helped to bring a records 4.2 million users to the Nike+ community in just a fortnight. 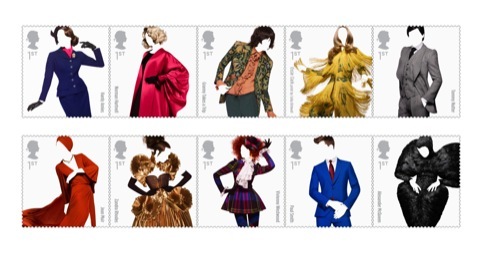 Johnson Banks was tasked by Royal Mail to create a series of ten special stamps to showcase British fashion from the end of the Second World War to the present. The consultancy wanted to use live models showing the clothes, but didn’t want the models to distract from the costumes. For its solution, Johnson Banks worked with photographer Sølve Sundsbø to shoot live models wearing the outfits, before digitally removing their faces and hands to let the outfits speak for themselves. See the shortlisted print communications projects here. 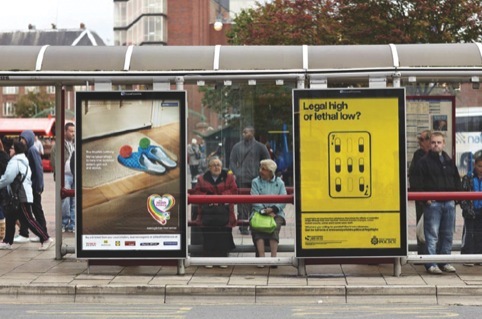 West Yorkshire Police commissioned B&W to develop a campaign warning of the dangers of ‘legal highs’, chemicals such as plant food or bath crystals which can have a similar effect to illegal drugs such as cocaine or ecstasy. The consultancy used a series of bold gambling-inspired images, and an urgent yellow-and-black colour palette. 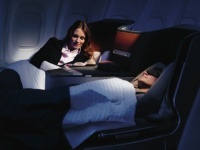 The campaign ran on touchpoints including bus-side ads and beermats. See the shortlisted brand campaigns projects here. 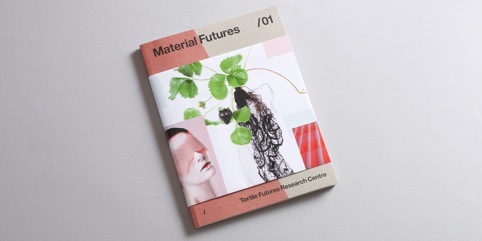 The Material Futures book showcases the work of the Textile Futures Research Centre at University of Arts London. 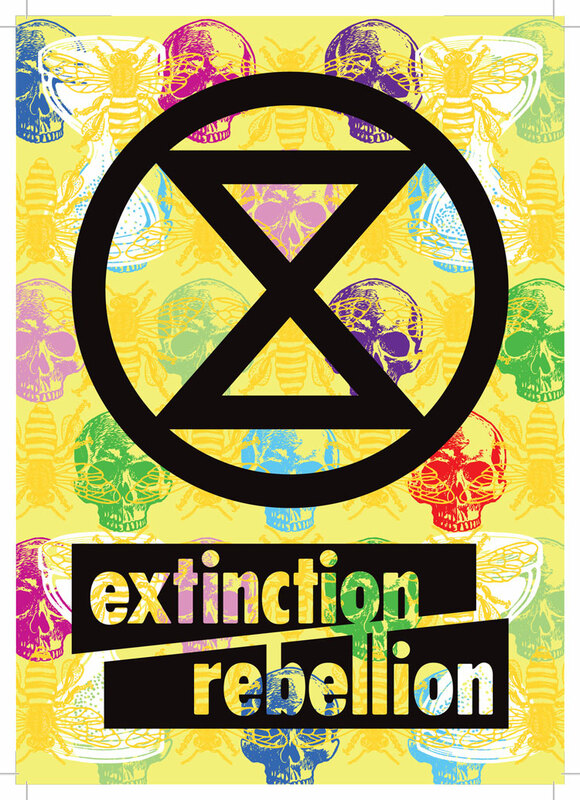 The brief involved collating, editing and designing a publication to form a consolidation and communication of the work of the TFRC, which would be available in hard-copy and PDF formats. 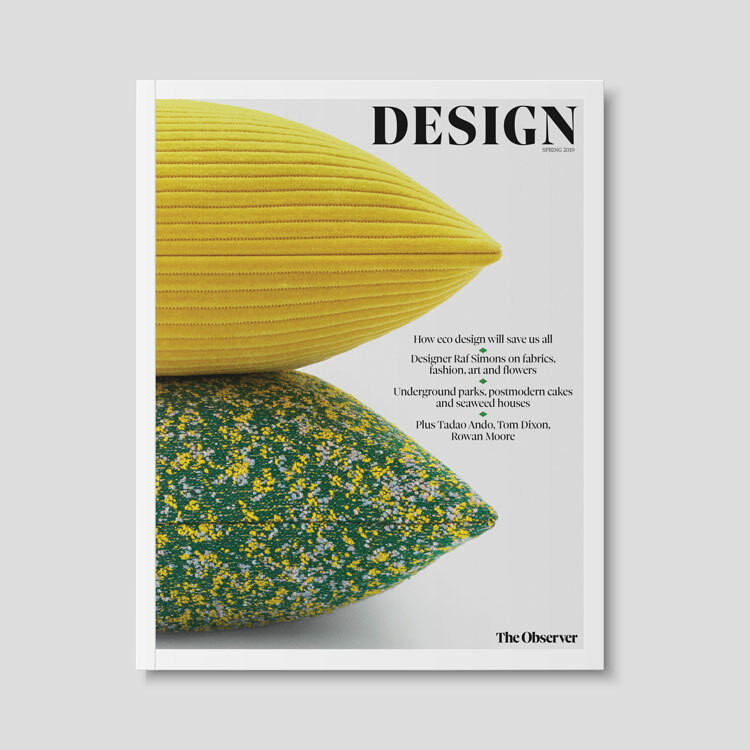 See the shortlisted editorial design projects here. 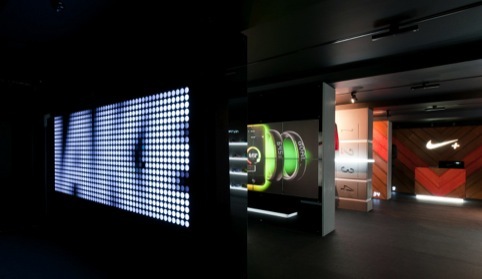 Nike’s Boxpark store is the brand’s first push into a fully interactive retail environment, and had to feature a seamless interactive experience while building brand loyalty and, of course, selling product. The design uses features such as motion-sensor-activated screens, giant LED installations and real-time messaging systems. The Rapha Cycle Club in London’s Soho, developed by Brinkworth for the cycling brand, is intended as a meeting place for the cycling community to eat, drink, watch racing and shop. 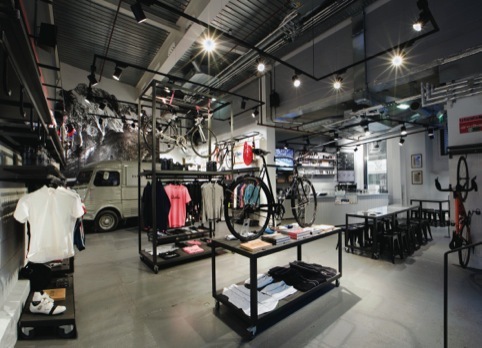 Brinkworth developed a flexible retail system to display not just apparel, but also unique products from Rapha’s collection of cycling memorabilia. The space places equal emphasis on social and retail aspects, and features a custom-built bar area. See the shortlisted retail interiors projects here. Inspired by the children’s nursery rhyme, Conran and Partners created the Ten Green Bottles designs for Gordon’s gin, using ten patterns inspired by Sir Terence Conran’s 1960s textile designs. Each pattern also incorporates the numbers one-ten. The patterns were printed on to 7.5 miles of cotton fabric and used to label a limited-edition run of 1 million bottles. In addition, a premium edition of 200 bottles in hand-stitched fabric were sold exclusively in Selfridges. See the shortlisted packaging projects here. NB Studio designed the poster for the Typographic Circle’s Five Big Names in Type event, featuring Bruno Maag, Henrik Kubel, Freda Sack, Phil Baines and Simon Dixon. Each designer’s name was set in a typeface designed by them. 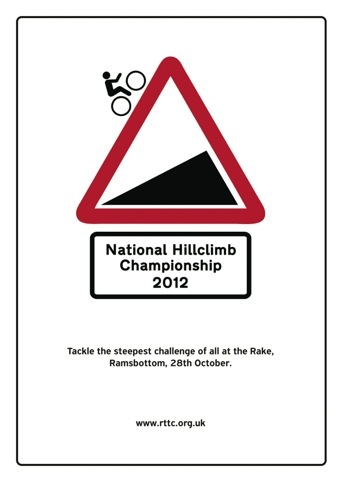 The National Hill Climb Championship sees cyclists negotiate the notorious Holcombe Rake hill in Lancashire – a 1 in 4 gradiant tarmac road stage. To convey the challenging nature of the event, Clock Creative produced a poster with a visual twist on the ‘Steep hill’ road sign. See the shortlisted poster projects here. 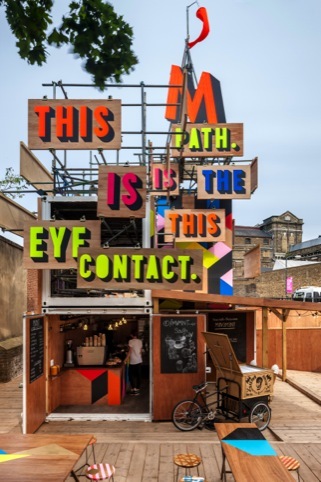 The Movement Café is a local landmark, community café and poem in Greenwich, designed by Morag Myerscough for developer Cathedral Group. The café was designed and built in just 16 days to greet visitors to the London 2012 Olympic equestrian events in Greenwich, and was created in a site left derelict by demolition. The sunken plot was turned into a natural amphitheatre, while shipping containers provide the base structure and a tower of scaffolding holds words forming a Lemn Sissay poem. See the shortlisted hospitality and workplace projects here. The Workshop was tasked with developing an appealing and appropriate voice for a range of RNLI-branded homeware items produced by Nick Munro. 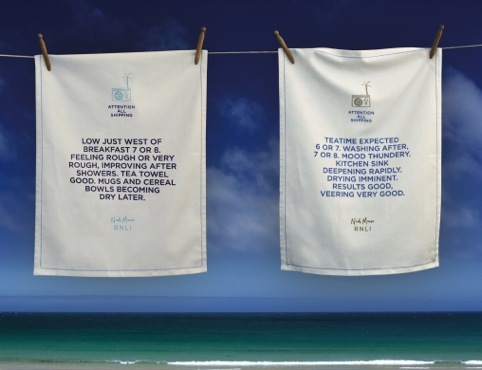 Working with writer Roger Horberry, it took language and phrases from the BBC Radio Shipping Forecast and twisted them to suit a range or domestic situations related to each item. See shortlisted writing for design projects here. 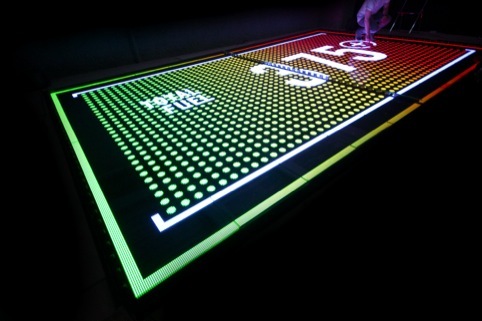 AKQA was briefed to provide an experience of Nike+ FuelBand, Nike+ Training and Nike+ Basketball to Japanese consumers before they came to market. Taking inspiration from the national obsession of gaming, the consultancy created a pop-up arcade opposite Harajuku Station, which was open for free throughout the London 2012 Olympics. Players could complete with friends in five unique games, each powered by Nike+. Results were fed live into global leaderboards. 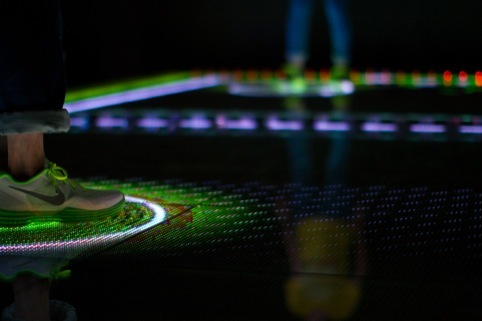 See the shortlisted digital installations projects here. The new iMac has 40 per cent less volume than its predecessor, with a thin 5mm edge. Apple completely reengineered the display for brilliant colour and contrast and 75 per cent reduced reflection. The cover glass is fully laminated to the LCD and an anti-reflective coating is applied using precision plasma deposition. See the shortlisted product design projects here. The Mono Collection Desks are adaptable, versatile and highly durable, and are available in a series of modular options, which can be made into one seamless piece on installation. The desk can be left- or right-handed and space for built-in storage can be specified. See the shortlisted furniture design projects here. 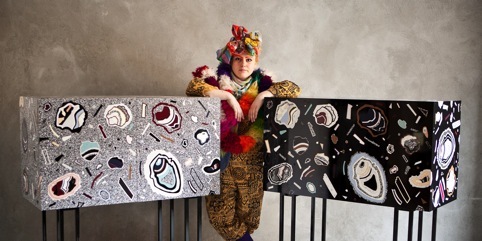 Bethan Laura Wood studied in the Royal College of Art’s design products department, under Jurgen Bey and Martino Gamper. Since graduation she has undertaken residencies at London’s Design Museum, the Fondazione Claudio Buziol in Venice and AAA Wanted New Artisans Vicenza. Wood showcases her lighting and furniture ranges exclusively with Nilufar Gallery, and her collections Totem and Moon Rock were shortlisted for Product of the Year and Furniture of the Year respectively at the Design Museum’s 2012 Design of the Year Awards. See the shortlisted Rising Star entrants here. Ippolito Fleitz was commissioned to create a setting for furniture brand Brunner to showcase two new products at the 2012 Milan Furniture Fair. From a distance, the black-and-white backdrop takes the back-seat to the colourful products, but at closer inspection, the backdrop transforms into a contextual world, informing visitors about the furniture. See the shortlisted exhibition design projects here. To mark the launch of its new identity and website, Bristol-based consultancy wanted to create a visual spectacle that had the potential to go viral. Working with digital consultancy Play Nicely, Taxi developed a 3D projection-mapping ‘troll’ installation as a ‘sort-of-illegal’ Halloween stunt. A small crowd was invited to witness the stunt, which was followed soon after by more than 25 000 YouTube hits and ‘Clifton Troll Bridge’ trending on both Twitter and YouTube. See the shortlisted self-promotional projects here. Alphabetical was tasked with developing an identity for The Link, a newly opened community centre in south London’s Thamesmead. The Link is located under a dual flyover, and Alphabetical was tasked with developing an identity that would bring this vast concrete space to life. Through a series of workshops, the consultancy created and illustrated a series of positive messages which were applied throughout the centre. 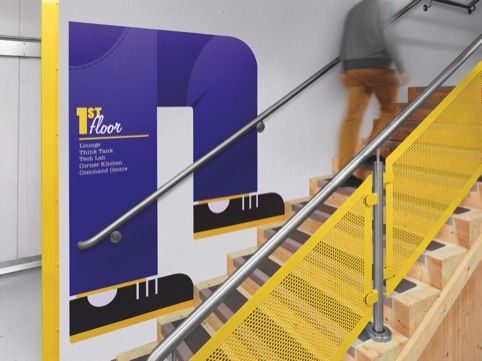 See the shortlisted wayfinding and environmental graphics projects here. 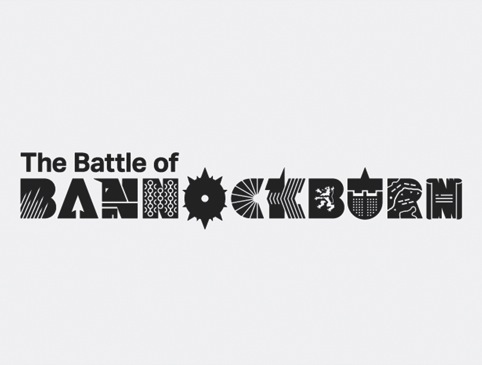 The Beautiful Meme worked with Dalton Maag to create the identity for The Battle of Bannockburn, a £9 million visitor centre operated by the National Trust for Scotland, which opens next year. The consultancy says it has aimed to develop a ‘brutal and playful’ identity, with each letter representing a key element of the battle’s story. The first ‘B’ for example illustrates the tight packs in which the Scots would group together, known as Schiltrons. See the shortlisted identity design projects here. 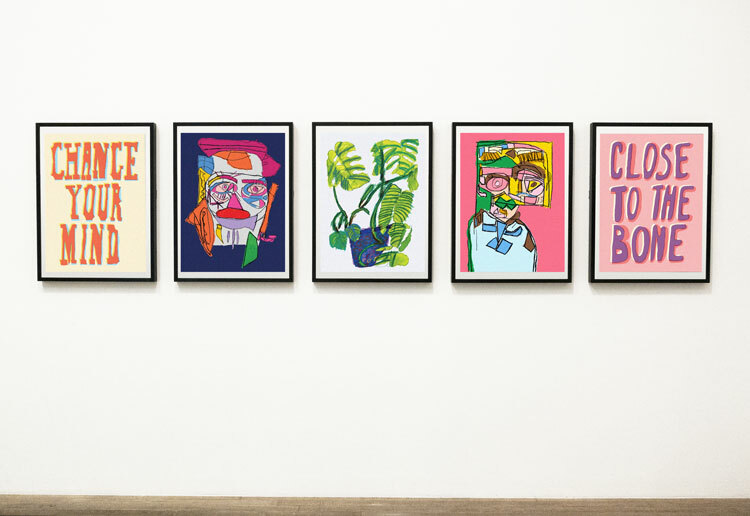 The Gallery of Lost Art is an immersive, online Tate exhibition that tells the stories of artworks that have disappeared. Visitors enter a large virtual warehouse where photographs, newspaper cuttings, letters images and films are laid out for examination, revealing lost works by the likes of Marcel Duchamp, Joan Miró and Willem de Kooning. Microsoft Internet Explorer needed a compelling piece of interactivity to help promote its open standards approach to web technology. 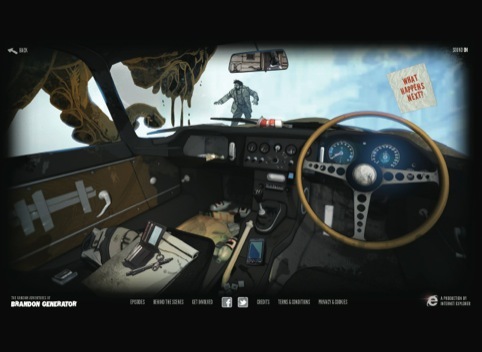 The company worked with director Edgar Wright and illustrator Lee Edwards to create an original animated story called ‘The Random Adventures of Brandon Generator’. The story unfolds over four episodes, with each one asking for crowd-sourced input for the next. See the shortlisted interactive design projects here. The MTV Under the Thumb app allows the best MTV shows – from the past and present – to be streamed on to mobile devices on demand for the first time. 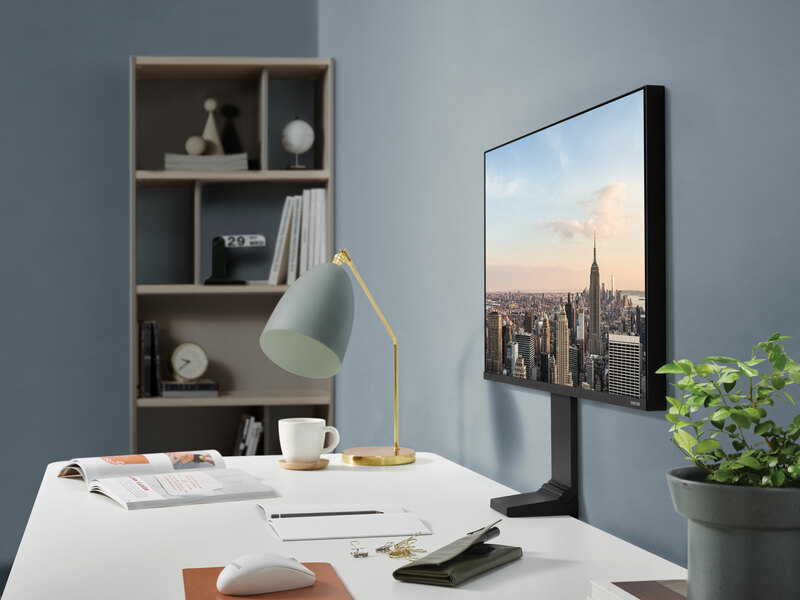 When at home the app becomes a remote control, taking over any PC, laptop or connected TV for an immersive dual-screen experience. Co-viewing allows users to watch shows together in real time, anytime, anywhere. See the shortlisted app design projects here. The Skyfall film marks 50 years of James Bond on the big screen, and Framestore worked with Daniel Kleinman to develop the four-minute title sequence. The sequence opens underwater as Bond sinks lifelessly into the gloom, before sending the viewer on a spiralling journey into Bond’s subconscious. A 3D visualisation was developed prior to a live-action shoot at Pinewood Studios, and the final title sequence was backed with Adele’s Skyfall theme song. See the shortlisted broadcast design projects here.